One of my favorite gifts that I receive year after year are cookbooks. As I age, my cooking ages as well. Not only my cooking but my recipes, my style, and my interests. So this year was no exception when the folks at Robert Rose shared their newest Fall/Winter 2016 titles. The two that really jumped out to me, out of the almost two dozen titles, were The Compassionate Chick’s Guide to Beauty and The Complete Sous Vide Cookbook. As you may or may not know, I have opted for a natural and alternative lifestyle with my essential oils, etc. To my delight when I saw The Compassionate Chick’s Guide to Beauty I squealed with excitement. Making my own soaps, lotion bars, tonics, air fresheners, cleansers, etc are my way to rid toxins in my life. 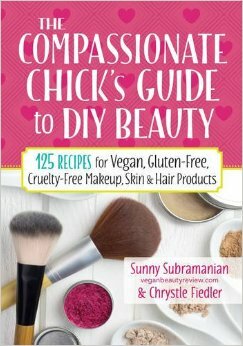 This book is chock full of goodies with DIY Vegan, Gluten-Free, Cruelty-Free Makeup, Skin & Hair Product recipes that I have been terrified to wing on my own but have this fantastic recipe book at my disposal. 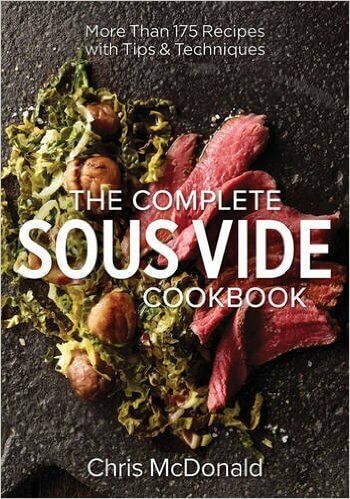 The second book I received was The Complete Sous Vide Cookbook. What is Sous Vide you ask? Well it is the height of cooking at a precise, controlled temperature by placing food in a vacuum sealed bag. Tender meats, crisp vegetables, buttery fish, and mouthwatering desserts. Sounds too complex? Oddly enough, anyone can cook using sous vide in their home because I found everything I needed on Amazon. Robert Rose offers a wide variety of books and is North America’s leading publisher of bestselling and award-winning cookbooks and health books designed to guide, inform, advise, and do everything possible to make your life easier. From nightly meals in slow cookers to mastering leading chef’s techniques in some of the most noted Michelin restaurants, the vast selection of cookbooks are the most comprehensive line from the experts in the field. It says winner gets one copy. So do you get to choose which of the books you want for that one? 175 BEST INSTANT POT RECIPES because I just received an Instant Pot last night! The Diabetes Comfort Food Diet sounds good to me.